Sam Coe and the Long Shadows were the headliners at the Norwich Arts Centre for legendary promoter Craig Hill's Tilting Sky, closing his trio of Americana gigs in the city. The night had two strong and varied support acts, beginning with True Adventures. I've been an admirer of Sam's work for some time but it seems like quite a while since I last saw him so this was a good reminder of what an entertaining storyteller he is, not only in the lyrics of his songs but the chats between them too. He quickly drew in those who already knew his material and also endeared himself to those first-time listeners with a warm and engaging set, delivered beautifully and with plenty of soul and gentle humour. Next on the bill was a full-band version of the superb Hot Raisin (who were fellow Battle of the Bands finalists with Sam Coe and the Long Shadows a couple of years back) and for this occasion were reunited with drummer Daryl to play in their fully electric, full band formation. They raised the tempo and volume, sounding big, warm and punchy. I love them to bits and was happy to hear a new track alongside the more established live favourites such as Captain and set-closer Whiskey Ginger. They have variety and songs which draw you in, together with a stage-presence that has such a feel-good factor about it. One can just tell that these are people who love each other's company and click so well together, both musically and as friends. 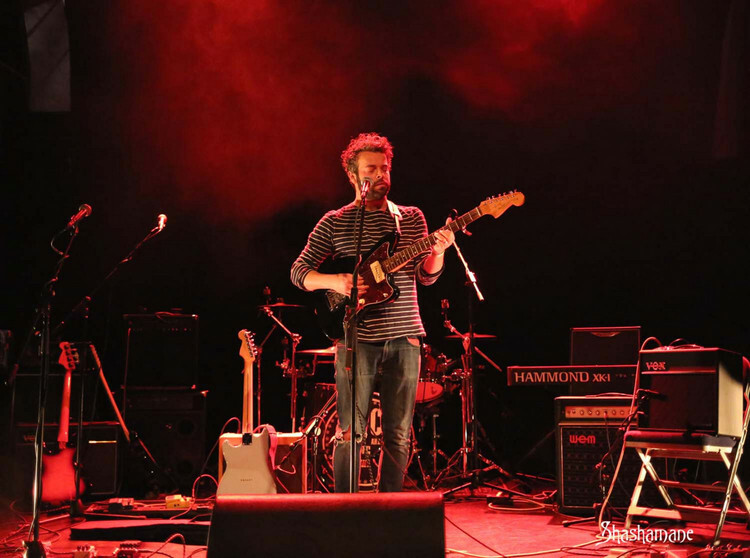 Sam Coe and the Long Shadows have been on the Norwich gig circuit for a few years and continued the whiskey theme with their own Whiskey Dreaming. They too sounded full and tight with their recently expanded line up. In fact bassist Philip was playing just his second gig with the band whilst James on guitar was actually making his Long Shadows live debut, so that tightness was all the more impressive bearing in mind how long they'd been together. Of course the two of them are also known to many of us from their days in Addison's Uncle. With the lap steel, dobro, keys, drums, bass, electric guitar and Sam's own acoustic guitar and vocals there is a strong feeling of depth to the sound, a warmth and fullness that harks back to a golden age of country music. A very fine cover of Margo Price's Hurtin' on the Bottle typifies this style and sound that Sam Coe and the Long Shadows play. There was a little onstage discussion about the name of their style which ranged from "Americana" and "East Anglicana" but to my ears on the night it seemed to be the outlaw end of what Dale Watson has dubbed Ameripolitan, which is all about authenticity and this is what we recognise in these open, honest and heartfelt songs. 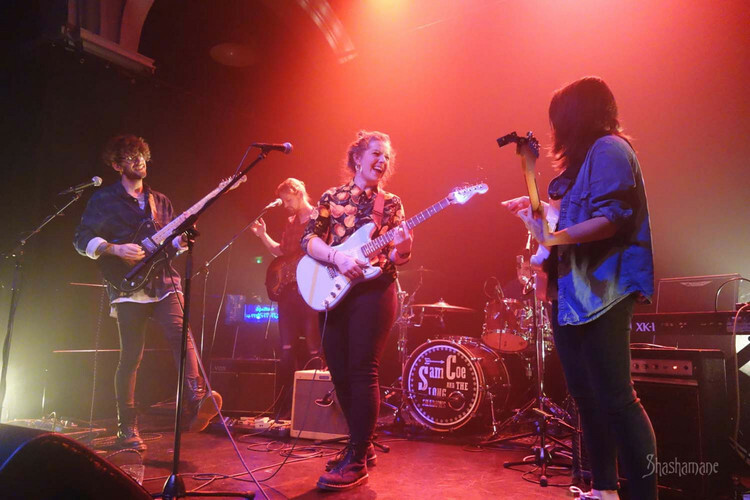 They perform an enjoyable set to an appreciative audience and the encore of The Comeback Queen is well-judged and selected, not only in sentiment but also in the identifying sound of what Sam Coe and the Long Shadows are about. Congratulations too to Craig Hill for another strong and varied line-up completing a hat-trick of Americana gigs but more is on the way with The Waterfront Sessions and an East Coast Country all-dayer on the 4th August that shall again include Sam Coe & the Long Shadows and Hot Raisin, alongside Morganway, Lisa Redford, The Vagaband, Lucy Grub, The Revelation Brothers, Rory Hill, Tom Malachowski, and Little Red Kings.